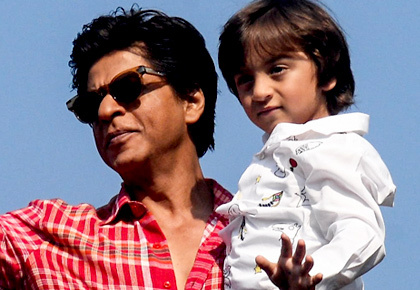 Rediff.com » Movies » Here's how Shah Rukh spent his birthday! After celebrating with the family, Shah Rukh Khan thanks his fans. 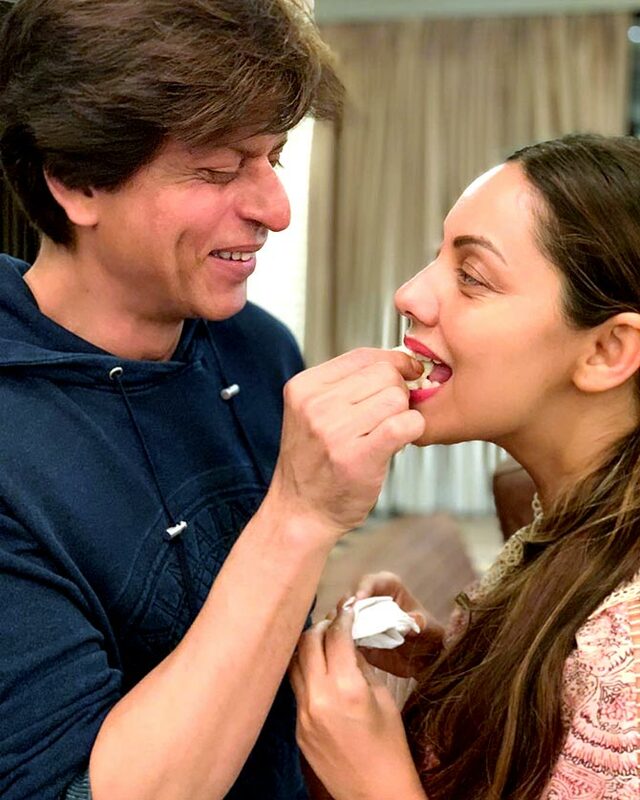 Shah Rukh Khan, who turns 53 today, November 2, had a late night birthday celebration the day before with his family and close friend Karan Johar at his sea side villa, Mannat. 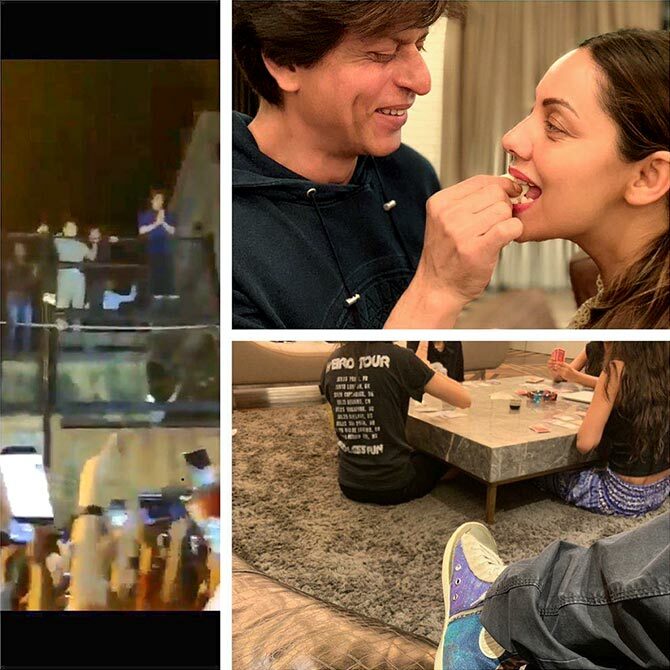 The celebrations included a game of Mono Deal with his girls, and greeting throngs of fans outside Mannat. And how did the superstar spend the day? 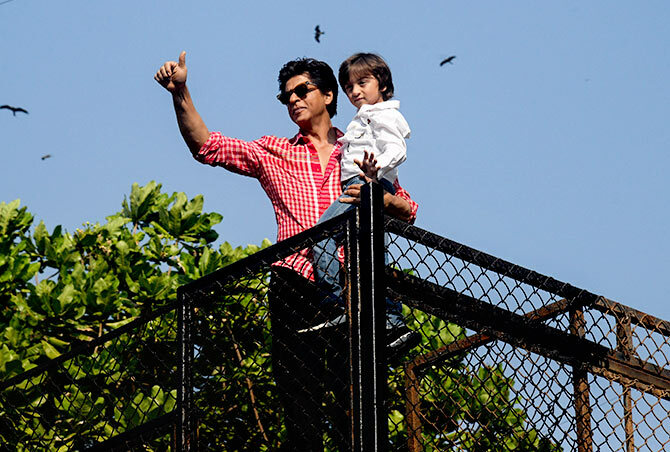 Shah Rukh greeted his fans once again in the morning, as they struggled for a glimpse of their idol. 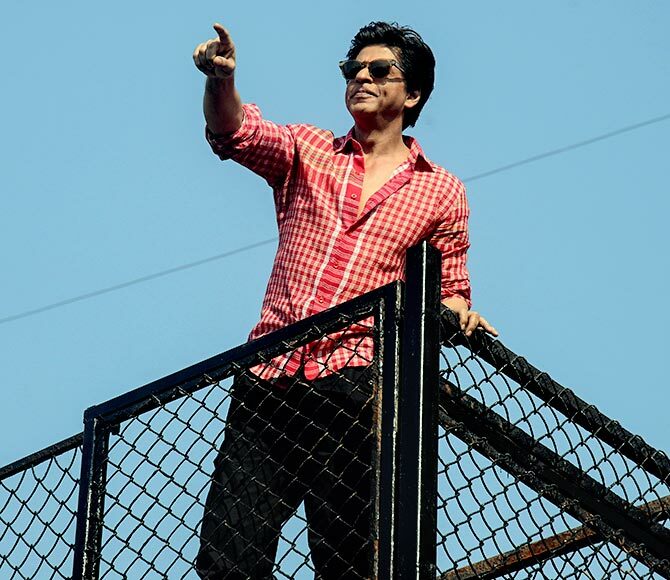 Even as the fans craned their necks for a peek, Shah Rukh tried his best to make himself visible to everyone, by climbing as high as he could. 'I believe ownership makes one very small. I believe I am the luckiest man that I no longer own my Birthday also...it belongs to all these beautiful ppl who love me and my family so much. Thank you God,' SRK tweeted. Fans wave to their idol and try to catch that lucky picture. Later, in the afternoon, Shah Rukh unveiled the trailer of his new film, Zero. Directed by Aanand L Rai, it co-stars Anushka Sharma and Katrina Kaif. We certainly loved the trailer! Vote for Shah Rukh Khan's BEST film! Have YOU met Shah Rukh? Tell us! Rishi, Big B, SRK: Retro pics that'll make you laugh out loud!